This initial step is your opportunity to answer essential questions about the event you are planning. Project management expert Rhonda Scharf says, “During this phase, you walk through the requirements, who’s involved, what the timeline is, and the scope.” This phase also answers how you will obtain resources and procure required materials. During this second phase of event planning, you will identify who the stakeholders are. This would include sponsors of the event, if there are any. It would also include partners or vendors that you are in contract to use. During this phase, be sure to go over contracts to ensure how stakeholders should be presented or in which way they should be utilized during the event. Understanding the budget is one of the most crucial steps in the planning process. Don’t just know the dollar amount you have to work with, but also know where that money is coming from. Know the consequences of going over or under budget. If you spend too much, is your job at stake? If you spend too little, what happens to the surplus? Patrick Healy, President of New York Celebrity Assistants, provided this advice and we couldn’t agree more. Healy finds the most effective approach to event planning is to visualize how the guest experience will unfold. “Any event you plan for your boss is a direct reflection on your boss. If the guests are not having a good experience, it’s going to reflect negatively on your boss.” Therefore, when it comes to strategy, he suggests, conjecture each element, plan ahead, and keep a cool head. Visualize guest experience from the moment an attendee enters the door by analyzing each touchpoint of interaction. When a guest walks in the door, what is the first thing they will see? Will there be someone there to greet them or check their name off a list? Will there be name badges? Where is the coat check located? Will there be someone to direct them on where to go? Someone to show them where the restrooms are located? There are always new trends taking place in the event space. For example, maybe a photo booth or live performance would go over well with your attendee base. Or perhaps it’s not appropriate. Know your target audience and study the trends that are relevant for the type of event. Modern Planners flock to sites like Pinterest and Instagram to find inspiration. Picture perfect table settings accompanied by custom lighting can create the ideal ambiance. However, investing in extravagant fixtures and florals may leave you draining your budget fast. Know your décor limitations and think creatively. Develop an execution plan for the different action items leading up to the event, as well as the agenda of the event itself. Set deliverables, activities, and scheduling for the project. – Set the checkpoints and dependencies here. Scharf further explains, “What is required before we can move to the next step. For instance, I can’t book the hotel space for the function until we determine the date. The date selection is a dependency. This is the stage where we need to meld stakeholder expectations into management objectives or tasks.” There are numerous project management templates online to assist in developing an effective and efficient schedule. Here is one of our favorites. We also love Asana. If you are hosting an intimate meeting or a dinner party at your principal’s home, you might already know the answer to where the venue will be. When planning large scale events, take the time to thoroughly research venues, talk budget with the venues and assess audio visual requirements and costs. Last but not least, carve out time to tour potential venues in person before making a final decision. Ensure your suppliers have an understanding of execution. This means reviewing the BEO with the catering staff. It means checking there are drivers scheduled for attendee pick up. It ultimately means everyone on-board has a day-of schedule of events. Keeping positive relations with suppliers will benefit you in the long run. If something does go wrong, be sure to act professional regardless of how you feel in the moment. Blowing up at a vendor will not help you on the day of or in the future. Patrick Healy has coined the phrase “have a Plan C”. It’s because as a celebrity assistant, Patrick has to make the impossible happen. He advises all assistants have a Plan A, Plan B and Plan C. For event planning, a Plan C is crucial. What if you have a guest allergic to nuts? Have you labeled the food correctly? Do you have an alternative dish? Walk through each guest touchpoint and develop a backup plan for each interaction. Once the event has taken place, review the event and document how the event went. Did it stay within budget? Were sponsors happy? How was the guest interaction? What vendors are worth use again and not using again? Evaluate what went well and identify areas for improvement. Event planning can be a great way to flex your project management muscle. It can also be an enjoyable component of your career. With practice, you’ll find your own tried and true steps to event planning. 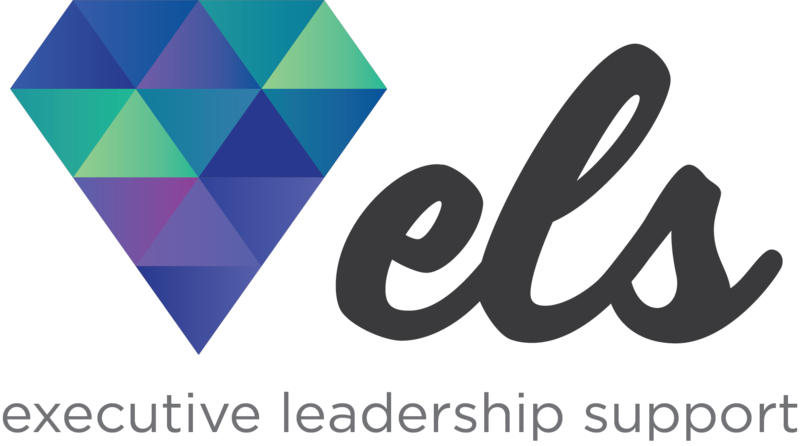 To join the conversation, and learn more about strategic project management and event planning at the ELS Forum!